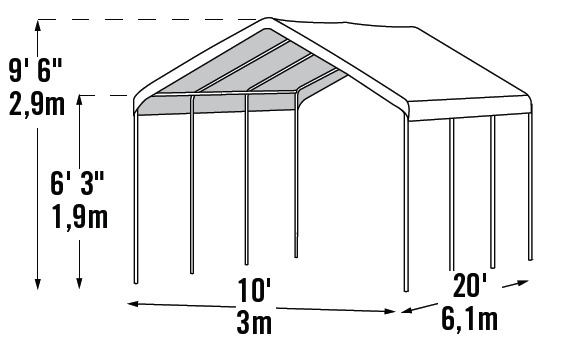 Looking for a field-tested, heavy duty shelter you can depend on for years to come? Shelter Logic's Canopy Shelter is the answer. This Shelter is designed for durability. Its welded steel frame is bonded with a DuPont thermoset finish after going through Rhino's 13-step preparation process. Its one-piece, full valance cover is UV treated, constructed from 100% waterproof polyethylene, and is designed for tear-resistance. The engineers at Shelter Logic have added their patented Twist-Tite(tm) technology, which secures taut pipes and gives the shelter a wrinkle-free look. 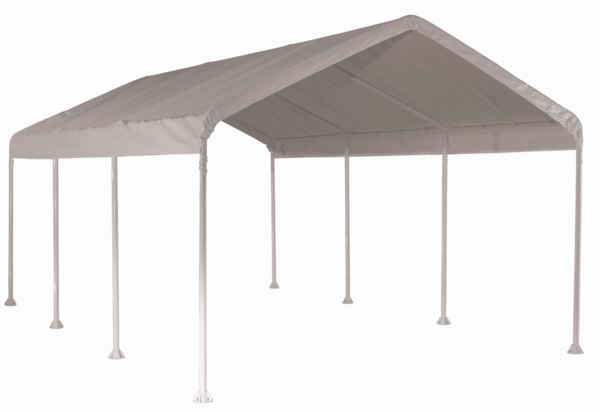 This 10' x 20' shelter is the ideal solution for a durable, dependable canopy. I have had this product for over 10 years and it is still going strong. Will be buying a second one shortly. Aslo have the side accessory, it really adds to the area to add 4 tables in the shade. The canopy went up fairly easily and is very sturdy. ConsOne of the holes in the leg was wrong and had to be re-drilled.